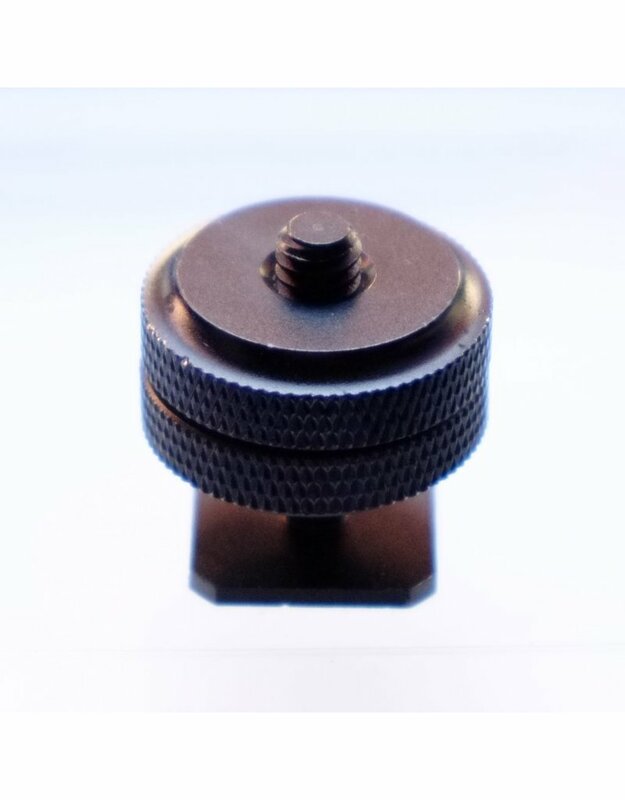 1/4" thread adapter for hot shoe. 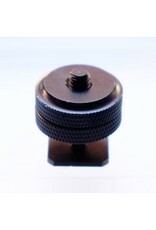 Home / 1/4" thread adapter for hot shoe. This adapter slips into your camera's hot shoe and provides a standard 1/4"x20 thread for equipment mounting. Double securing screws to clamp adapter to shoe surface and threaded accessory.